Russia vs. The US: Superpowers Bluff Over Ukraine? Following Russia's military incursion in Ukraine, the US immediately threatened various sanctions against Moscow, including personal travel bans, an ejection from Russia from the G8, and trade and finance measures. In retaliation, a Putin advisor warned that Russia could abandon the dollar as a reserve currency and/or default on loans to US banks. Neither party however can afford any form of action, nor do they have any real influence over each other’s economies. Provided the military situation in Ukraine and Crimea does not escalate from here, it is likely the Russia will get a proverbial slap on its wrists for bearing its canines and the military display of what largely amounts to a shot across the Ukrainian bow. The democratic coup against a corrupt, but elected pro-Russia president, took on a strident anti-Russian posture that the EU and US seemed to be encouraging. The effort to drop Russian as the second official language in the Ukraine was too much for Putin who had made it clear, according to various press reports, that Ukraine was of strategic importance to Moscow. The recent sequence of events went something like this: After being on the verge of signing an agreement of closer economic ties with the EU, Ukraine President Yanukovich reversed himself, no doubt under both promises of a carrot and the threat of the Russian stick, and appeared to have reached a deal with Moscow. A protest in the Kiev ensued that ended up toppling Yanukovich and ushering a pro-Europe and anti-Russian unelected government. Russia claims the EU, the US and Poland were behind the protests. 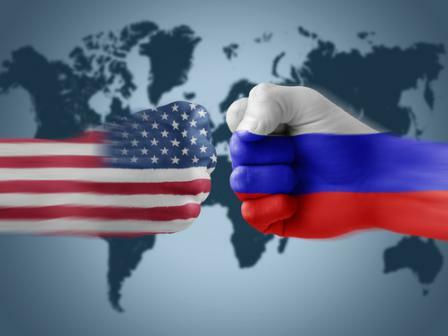 Following Russia's military incursion, the US want to hit back hard, in non-military means. Amid the inevitable comparisons with Hitler, various sanctions have been aired, including personal travel bans, an ejection from Russia from the G8, and trade and finance measures. Europe, which appeared to have taken more aggressive position than the US in terms of Libya and Syria, drew back from the US retaliation. It is more willing to make an accommodation with Russia. After all, its naval base has been in Crimea for than a couple hundred years and through that base, and Stalin's forced migration (Tatars out Russians in), Moscow has dominated. Fighting its own civil war in the 19th century, the US was late to the imperialist game of carving up the world into spheres of influence. The Open Door Notes, penned by then Secretary of State John Hay, was a refutation of the entire spheres of influence approach to international relations and offered an alternative view. Instead of fixed spheres of interest, there would be variable shares whose variability was a function of economic prowess rather than political concessions. Hay was talking specifically about the territorial integrity of China, but the general view has been globalized. Europe is more sympathetic to the traditional spheres of influence approach. It has extended the EU and has supported the expansion of NATO to reduce the Russian sphere of influence in the post-Soviet Union era. By trying to win the Ukraine, it over-reached and Russia's show of force was a sufficient resistance for Europe to quickly return to political reality. A Putin adviser was quoted on the news wires, indicating that Russia could respond to any US-sponsored sanctions with actions of its own, which could include abandoning the dollar as a reserve currency and/or defaulting on loans to US banks. Although the adviser Sergei Glazyev views were said to be his own and not the government, the implicit threat is there. However, it is a hollow threat; a bluff, little more than bluster. Russia does not hold dollar in reserves out of some kind of ill-placed generosity to the US. It is not a favor to the US. It is forced upon Russia by circumstances, some of which reflect Russia's own self-interest. First, it gets dollars for most of its exports. Second, it adopted a currency regime in which the dollar plays an important role. The dollar is 55 percent of the basket (euro is the other 45 percent) by which it manages its currency. Third, Russia has the fourth largest currency reserves in the world (behind China, Japan and Saudi Arabia) at the end of January, which excluding gold , stood near $486 billion. A little less than half the reserves were in dollars a year ago or roughly $225 billion. Given the relative size of alternative bond markets, a move of this amount out of the US Treasury market, where we assume most is invested in, might be marginally disruptive, but would be exceptionally disruptive to where ever it was going. In order to defend the rouble, reports suggest that it has sold dollars. There is some talk that it may have to sell euros to maintain its reserve allocation. This obviously not the same abandoning the dollar as a reserve asset. Indeed, Russia's own intervention underscores the important role of the dollar. The threat of selected default against US creditors is also bluster. The hit US banks, which appear to have less than $20 billion of Russian exposure, would be minor compared to the likely market response, which would include demanding a much higher risk premium for lending to Russia. The effectiveness of US sanctions against Russia are also almost toothless if they are unilateral. With Russia threatening to raise energy prices to Ukraine, ostensibly because it is in arrears, this may force the US and/or Europe to subsidize Ukraine more than it intended, which will ultimately go into the Russian coffers. The conditions that the IMF will likely require to put Ukraine on more sustainable fiscal footing will mean economic hardship and may do more to push Ukraine away from the West than nearly anything Russia could do. Russia and its Dollar Reserves: Going Nowhere Fast is republished with permission from Marc to Market.